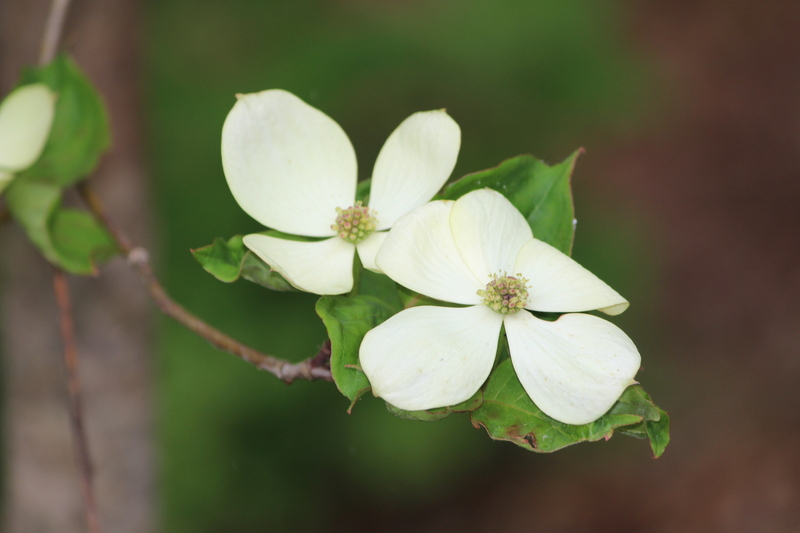 Lane Hays’s Garden: A Dogwood Featured Garden 2015 | Oh, the Places We See . 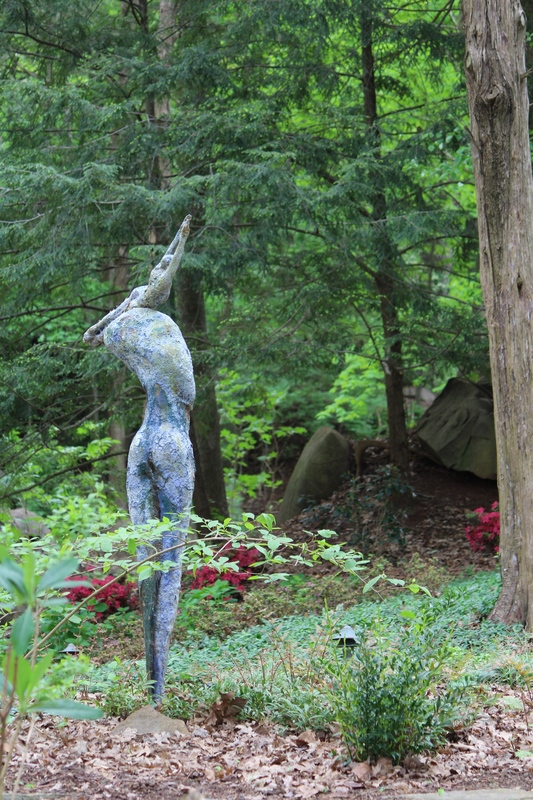 . .
Greeting visitors at the entrance to Lane Hays’s garden were Dogwood Arts Featured Gardens volunteers. 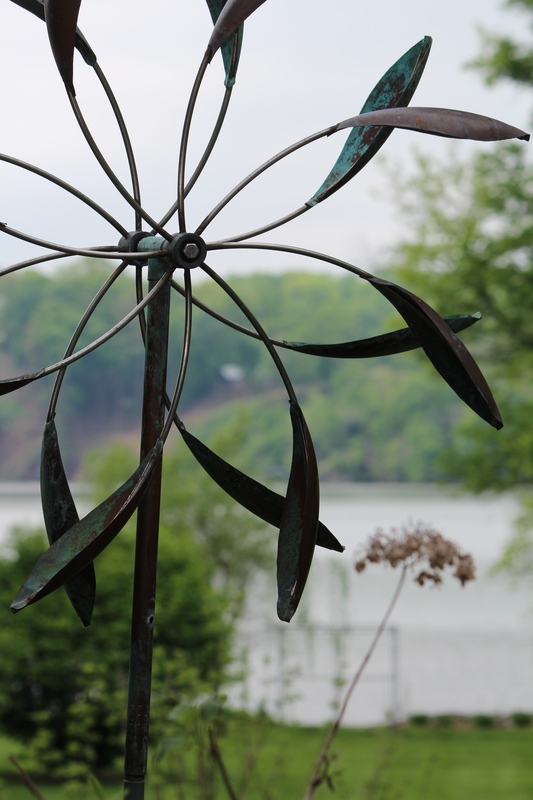 Although it’s been several years since we last visited the lovely gardens of Lane Hays, we relished the thought of spending quiet time roaming this extensive lakeside property artfully enhanced by Lane’s vision and creativity. 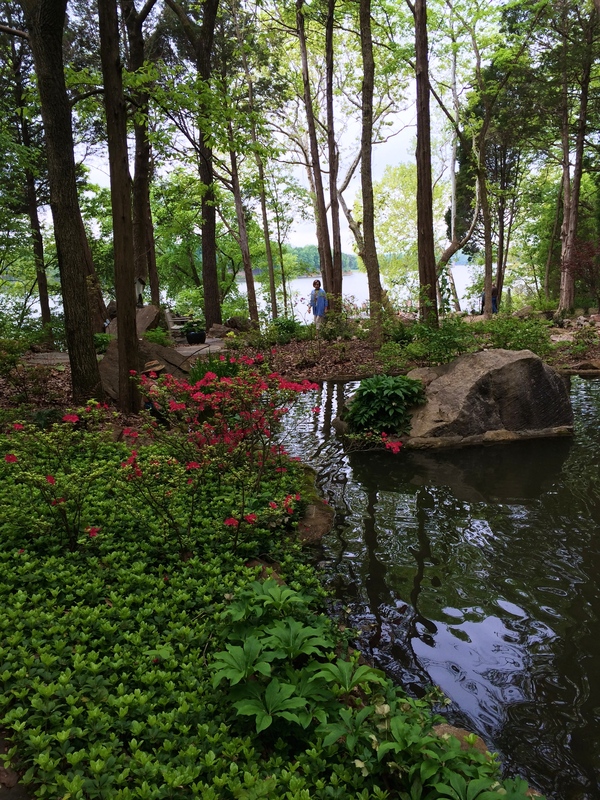 Set on the banks of Fort Loudon Lake in Knoxville, the gardens were begun in 1992 using natural elements of a marble quarry located on the property. Now, the additions of a cottage garden, rose garden, moon garden, and newly added waterfall features in the back of the property make this a Southern showplace. From the front of the house, the lake beckons. 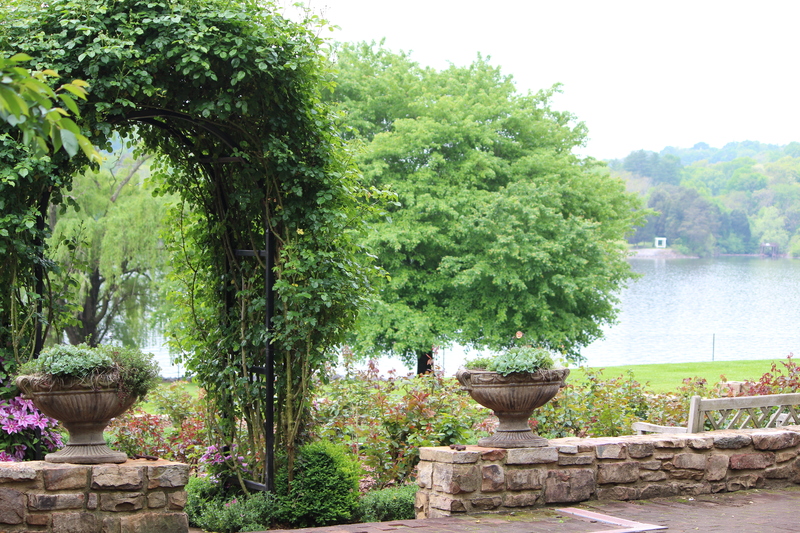 Visitors to the property catch glimpses of the water from the planted gardens as well as pathways to the house. 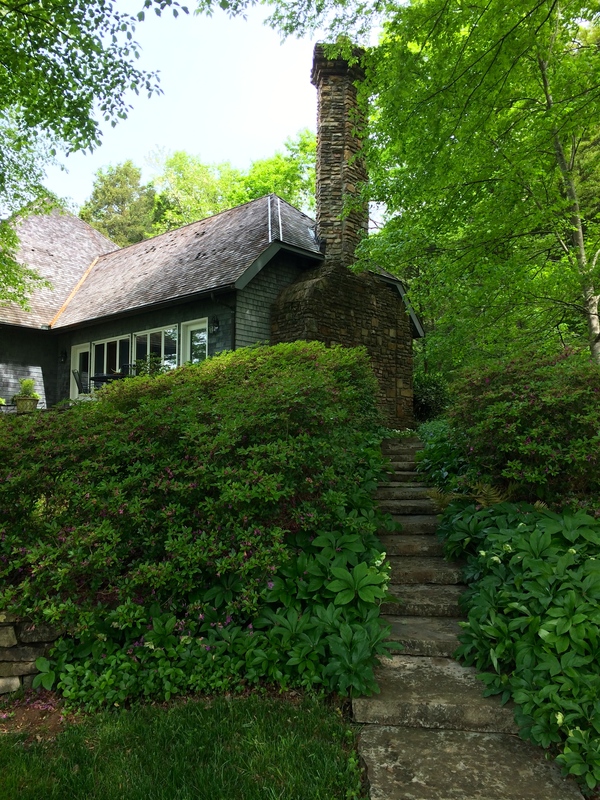 And the walks along the way offer the peacefulness and serenity that typify Lane’s property in both the front and back of her home. Steps leading to the Hays home. A view of the lake from the front lawn. 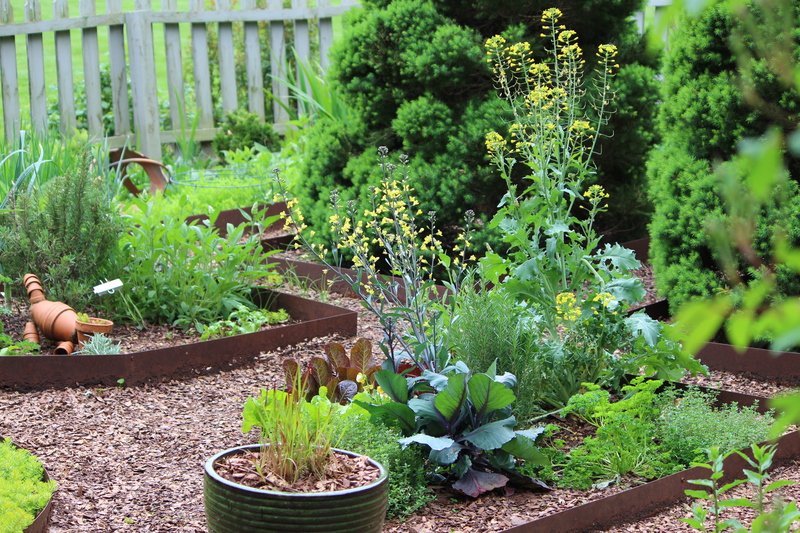 Featuring a variety of perennials and annuals in raised beds, the garden has a looseness about it even with careful planning. 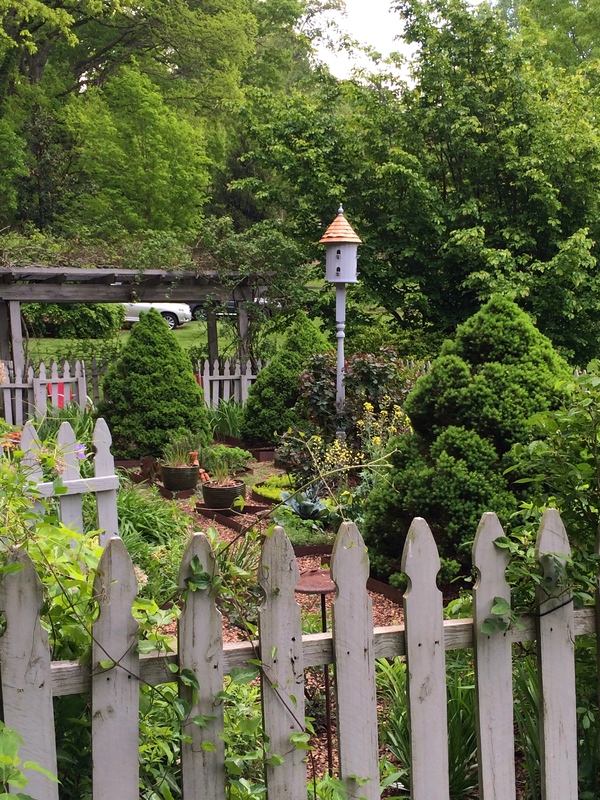 Stepping stones, garden statuary, and birdhouses stand among the flowers bordered by picket fencing. 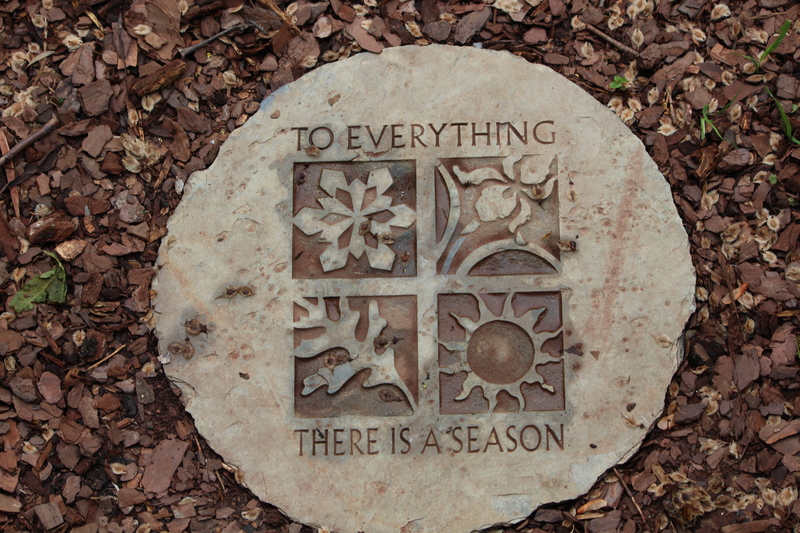 Pebble pathways lead you through the garden with many of the perennials identified by markers. 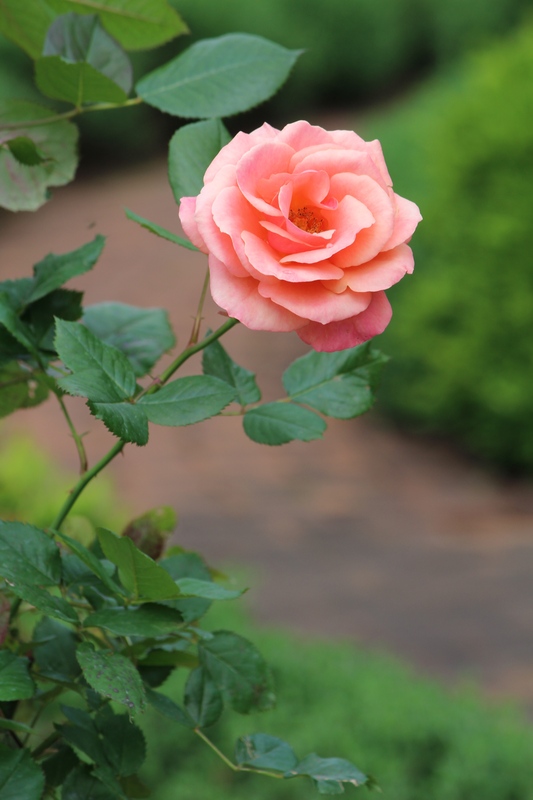 Although only one solitary rose showed its colors for the tour, Lane assured us that by Mother’s Day the fragrance of many varieties of roses will fill the air. Notable about this garden created in 1996: labels for each variety and an arrangement of plantings that invites leisurely strolling. Also waiting for later spring to show its creamy blossoms was the west-facing moon garden, planted only with white flowers in order to catch the light of the moon as it casts a soft glow on the blooms. 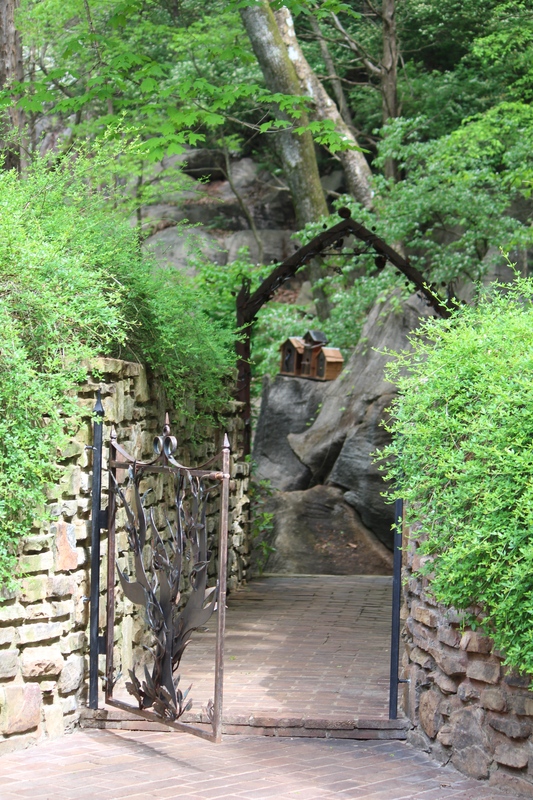 Lane led us through the old ornamental iron gate to the back of the extensive property where we were greeted by a stone frog (bought at auction, Lane said) dipping a fishing line into the pond. After walking the pathways we remembered from a previous visit, Lane gave us a tour of the “new” area just completed within the last year. She’s added a stone bridge, re-positioned massive boulders, and created a formidable waterfall over a previously hidden rock face. Quite the work of art. 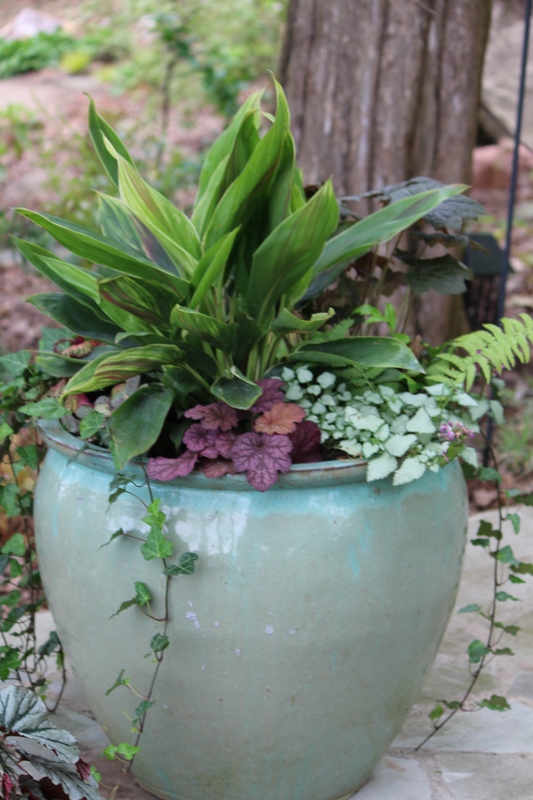 Natural landscaping with a little help from Lane Hays! 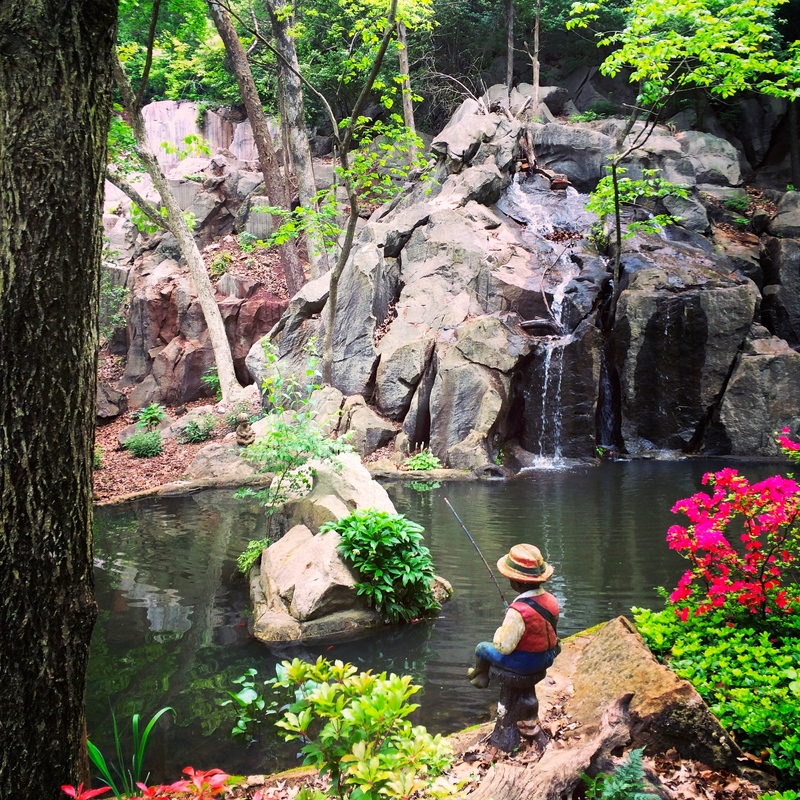 Lane Hays’s backyard garden makes an indelible impression: deep woods, native and acquired trees, shade-loving plants, and rushing waterfalls. 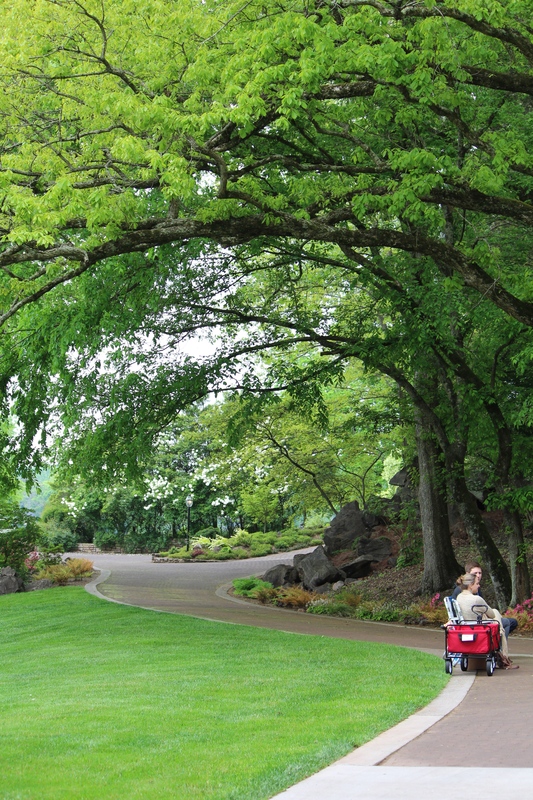 A respite for anyone touring the gardens that day. But then all of Lane’s gardens are impressive. So glad she was open! This entry was posted in Gardens and tagged cottage garden, Dogwood Arts 2015, gardens, Lane Hays, moon garden, Open Gardens, waterfall. Bookmark the permalink. 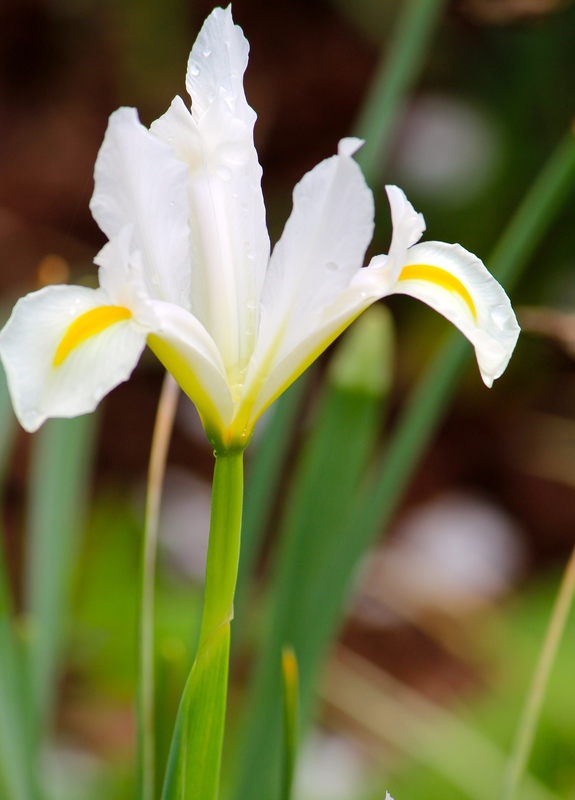 She began this garden with her husband years ago, but he died. Since then, she’s done a lot of the planning and work by herself. 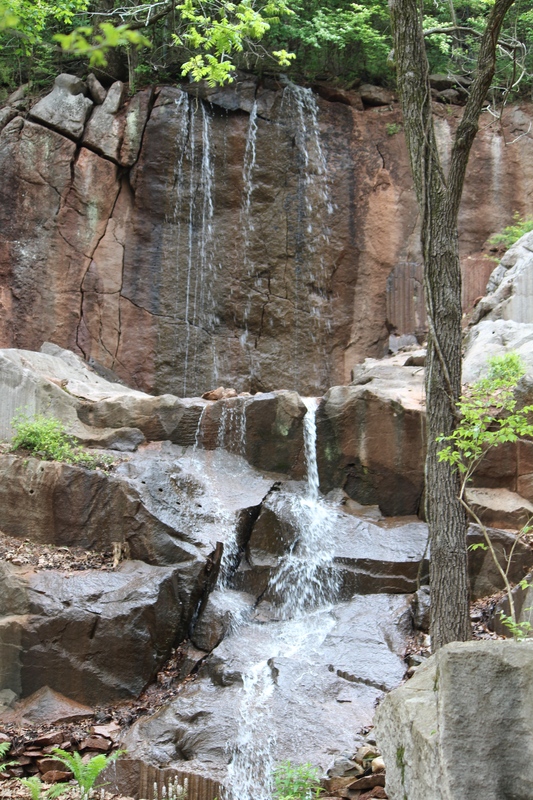 But she had a landscape designer help her with the commanding waterfall in the back — water had to be sourced from the lake and pumped above the rock face. But you’re right. Even with help, she’s done a lot of work. Thanks so much, Amy. 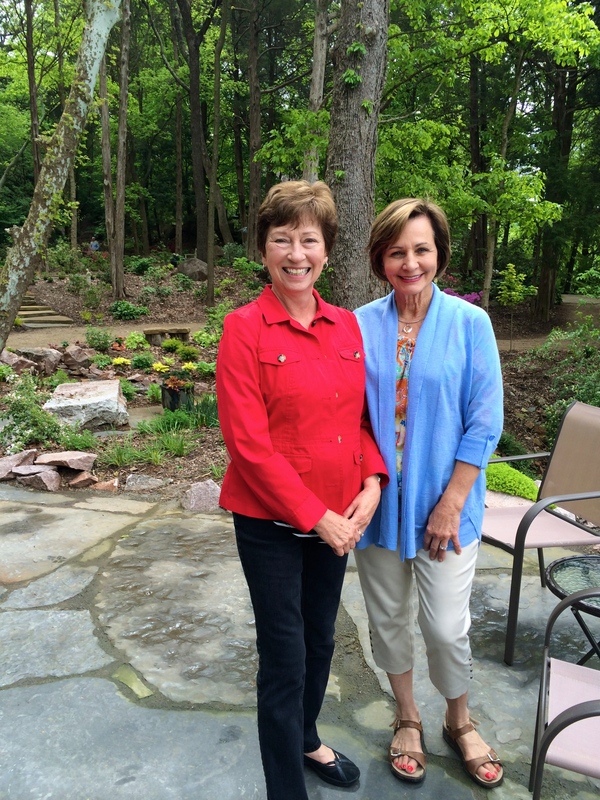 I love this garden, and this lady. She has focused on this for several years, and the result is absolutely fabulous. The gardens are beautiful, I used to hate visiting them, but now I love them, wondering through and always good subjects for photography. Leanne, with your talent for photography, you’d have a field day! This is a place for magazine stories, for sure. Thanks for taking a look. You know, you may be on to something. Lane hosts groups like the Museum of Art Guild at her home for luncheons, etc. But maybe she would entertain the notion of having an art day for plein air art!! It would be a great place!!! Thanks for taking a look. My pleasure! Thanks for the gorgeous photos.